Dress up the hors d’oeuvres table at your next gathering with this luxury marble cutting board by Trisha Yearwood Home Collection. 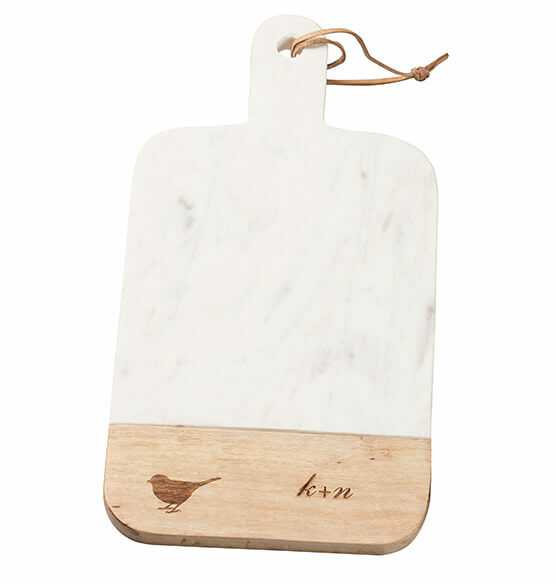 Beautifully crafted from premium quality marble and natural wood, the board features a pretty songbird inlay. 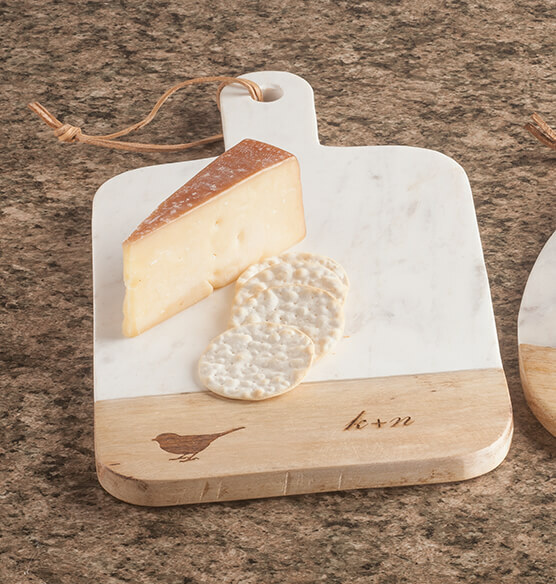 This multifunctional board is perfectly sized for everyday use or entertaining. Personalize with a monogram to create a unique gift idea. Inspired by Trisha Yearwood’s warm southern roots and vast travels, her comfortably chic home collection centers around Southern hospitality and authentic, timeless design.